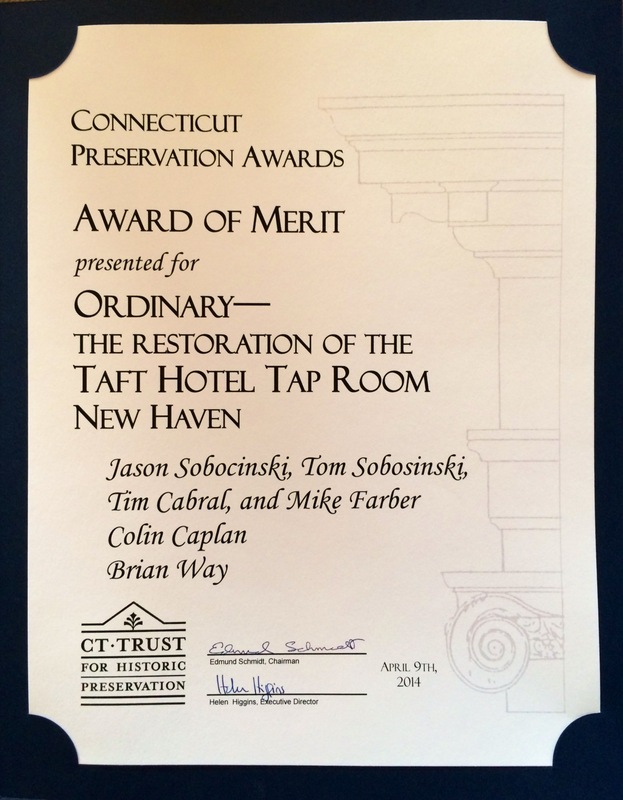 The Connecticut Trust for Historic Preservation held the 2014 Annual Awards last night at the State Capitol, Hall of Flags. 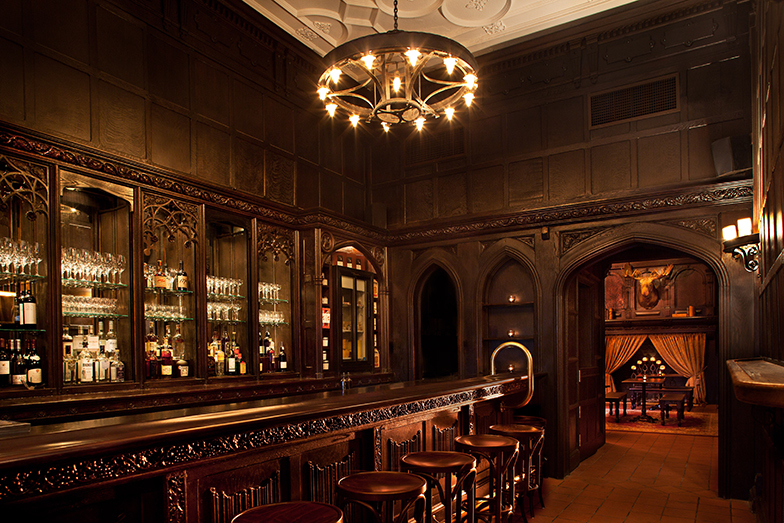 The name for the new bar was chosen in part because, dating back to the 1600s, an “ordinary” was the person at a hotel who would check in guests and offer them a drink, Sobocinski said. The bar is also meant to be an “ordinary neighborhood hangout,” he added. CLICK HERE FOR THE FULL STORY! 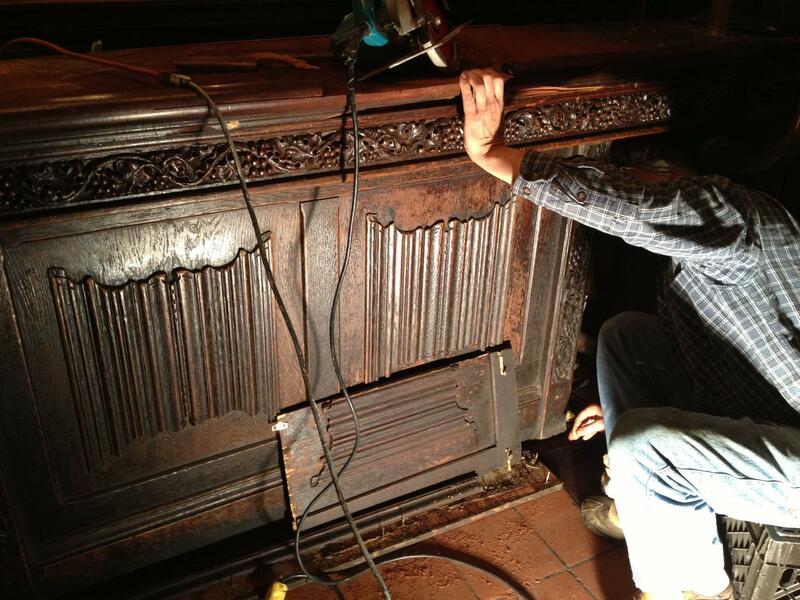 There were many challenges in bringing this bar back to life, some of ( as you can see in the below photos) were bringing the old wooden cooler back to life, recreating some old carvings & fixing broken carved panels. Many people don’t realize that the actual bar top is original, although mended and epoxied together in many sections, we felt as though the old top told many stories, so it was our goal to do what we could to save it and make it up to code and useable. We stripped it down to bare wood, filled all the holes with epoxy, sanded, stained & installed a new bar rail to clean up the edge. 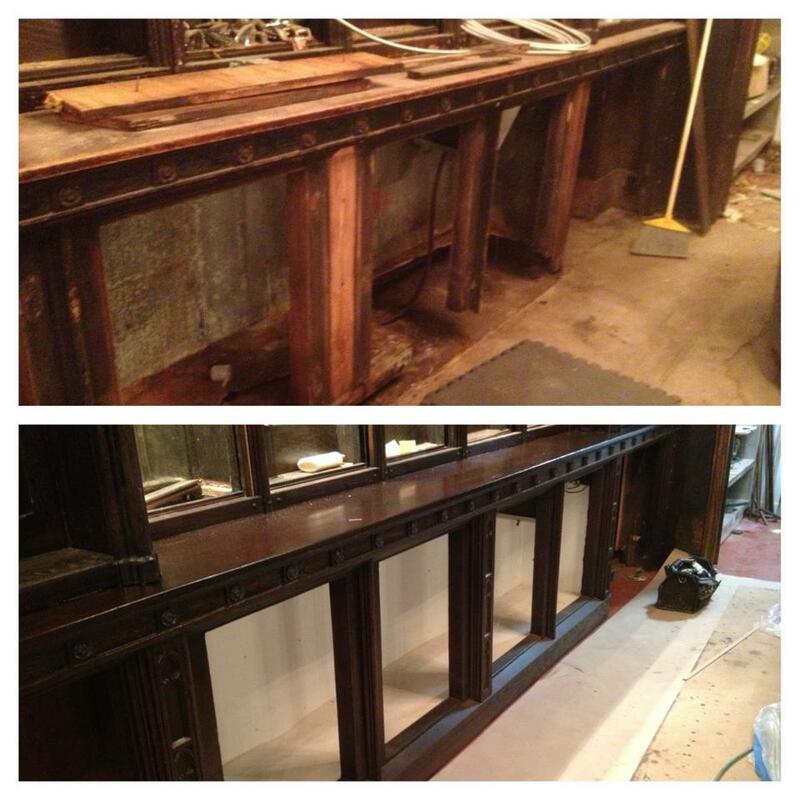 We gave the bar top a conversion varnish finish. 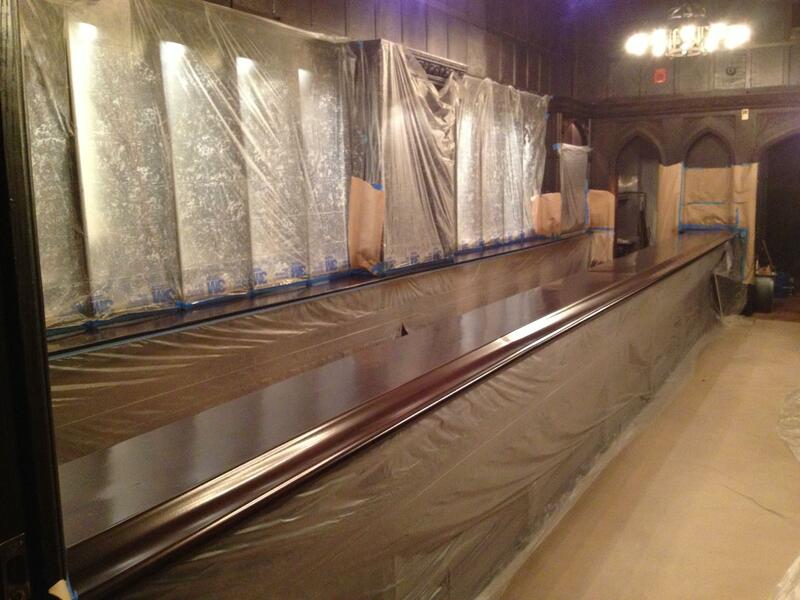 Although it is not the way it was done originally, we felt it would offer the most durability for the bar top itself. The Hotel Taft became the center of New Haven’s popular social life and its proximity to the Shubert Theater and Yale University made it the destination of students, professors, tourists and actors. Some of the famous people who were guests at the Hotel Taft include presidents, actors, writers, producers, scientists and athletes. Woodrow Wilson stayed at the Taft while on his presidential campaign trail in 1912. William Howard Taft, pictured on the upper left, was known to have stayed here while he was searching for a home, while he was a Yale professor in 1914. Babe Ruth, pictured on the top center, stayed at the Taft in 1932 and was completely mobbed outside by young fans. Other notables who have visited the Taft include Humphrey Bogart, Spencer Tracy, The Marx Brothers, Katherine Hepburn, Henry Fonda, Marlon Brando, pictured on the bottom center, Thornton Wilder, Eleanor, Roosevelt, pictured on the bottom left, Jack Dempsey, Albert Einstein, pictured on the top right, and Lou Gehrig. A number of accounts mention that Lincoln came to the New Haven House and likely was a guest here too . CLICK HERE FOR MORE THE AMAZING FULL STORY!